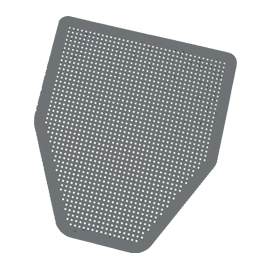 DiDisposable Urinal Floor Mats 6 each - Disposable and Absorbent Floor Mats for use with Urinals save hundreds of maintenance dollars. Each mat lasts 4- 6 weeks. Urine splash and drips around urinals and commodes are effectively contained 24/7. Safety is first, as Super Absorbent Mats reduce moisture slippery conditions. Protects floors from stains and uric acid damage. No-slip design prevents mat-sliding. Mats can be mopped over, or removed for total floor cleaning or left in place. 1 Unit contains 12 urinal floor mats.